In the beginning there was Tilly: fabulous and free, outrageous and untamable, vulnerable and terrified. As a young woman, she flees home for the hollow neon underworld of Nevada, looking for pure souls and finding nothing but bad habits. Decades later, after eventually drinking herself to the brink of death, her niece shows up on the doorstep of her dusty trailer. 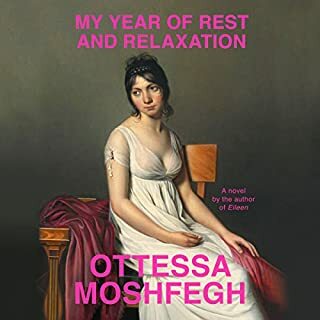 From graffiti gangs and Grand Theft Auto to sugar daddies, Schopenhauer, and a deadly game of Russian roulette, in these essays, Chelsea Hodson probes her own desires to examine where the physical and the proprietary collide. She asks what our privacy, our intimacy, and our own bodies are worth in the increasingly digital world of liking, linking, and sharing. Starting with Hodson’s own work experience, which ranges from the mundane to the bizarre - including modeling and working on a NASA Mars mission - Hodson expands outward, looking at the ways in which the human will submits, whether in the marketplace or in a relationship. 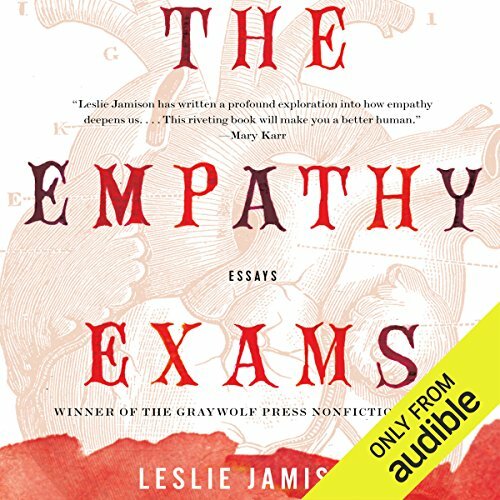 Beginning with her experience as a medical actor who was paid to act out symptoms for medical students to diagnose, Leslie Jamison's visceral and revealing essays ask essential questions about our basic understanding of others: How should we care about each other? How can we feel another's pain, especially when pain can be assumed, distorted, or performed? Is empathy a tool by which to test or even grade each other? By confronting pain - real and imagined, her own and others' - Jamison uncovers a personal and cultural urgency to feel. 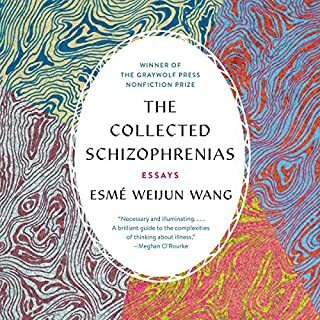 She draws from her own experiences of illness and bodily injury to engage in an exploration that extends far beyond her life, spanning wide-ranging territory - from poverty tourism to phantom diseases, street violence to reality television, illness to incarceration - in its search for a kind of sight shaped by humility and grace. 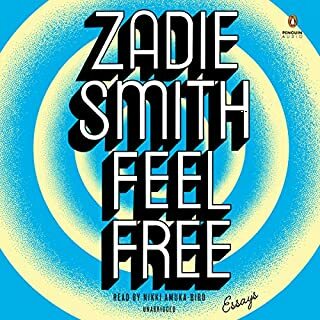 ©2014 Leslie Jamison (P)2015 Audible Inc. If you could sum up The Empathy Exams in three words, what would they be? What was one of the most memorable moments of The Empathy Exams? I am only half way through the book, but the 2nd essay is skin crawling, literally. Anyone. She has a strange, annoying voice that sounds digitally generated. She also isn't consistent in her pronunciations. Seemed unrehearsed to me, and I found myself distracted from the narrative, wanting to turn her off. The first essay will remain with you. What's up with the narrator? This is beautiful writing, but I'm hearing through a metallic sounding robot. I have two hours to go but don't think I can finish because this narrators voice is so deeply unpleasant. A very real and detailed look at pain, suffering and empathy from the authors personal experience/research...some of it is very moving and thought-provoking to me, however I did not enjoy the style in which some of it was portrayed. I did listen to the end and enjoyed the narration. In a world of cynicism and a deluge of stories and strangers, Leslie Jamison brilliantly weaves together literature, vulnerable personal narrative, pop culture, and other diverse sources, uniting the essays with a single invitation: to let pain and experiences of others touch us, no matter how we have been taught to dismiss them. 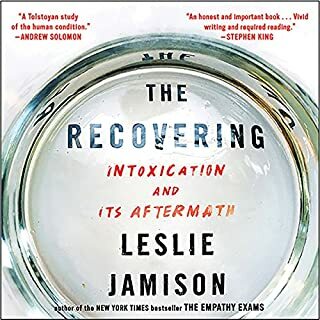 Jamison's analysis and intuition for human experience is rich, at times almost too thick too take in even over multiple readings, but never becomes lofty, remaining grounded in vulnerable exposes of her own life. Perhaps the undergirding gift in the book is found in Jamison's ability to anticipate skepticism, articulate bias, and empathize with cynics and those we default judgement to, all the while avoiding resorting to jaded cynicism herself, directing us instead to a deeper invitation to be human and to be inhabited by the experiences of other humans. This book is by no means a typical read for me, and it certainly drove the point home as I progressed through it. There were a number of very interesting essays that all seemed to have their own resolve while touching on the central idea of the novel. I definitely learned a bit of trivia as well as witnessed a different perspective of empathy as a whole. I don't read between the lines too often, but I can't get over how force-fed the last essay was; it seemed to lend itself to a completely different theme than those other stories. Nevertheless, it was a great book, I just wish the ending had been alluded to earlier. Especially given the fact that it is what best remains in my memory from the read. 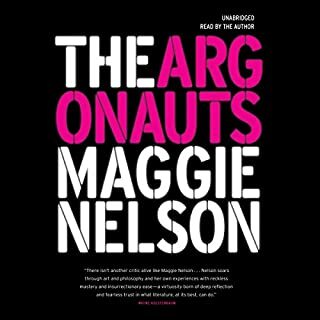 The essays are compelling, but the narrator was difficult to listen to - robotic and unnatural. She has a bizarre accent, which could more accurately be called an affectation. She sounds kind of like Siri on a bad day. It was very distracting to the point that I don't even know whether or how much I like the actual book. I wish I had read this one instead of listening to it. powerful, scary, bold, a must read. difficult and taboo subjects written with compelling clarity and frankness. would recommmend to a mature or aware reader. I want to start by saying this is the first collection of essays I have listened to. I wonder if they all leave you with a similar sense that you have only heard one layer, that the book needs to be excavated again. The prose is lyrical, but also intellectual. Empathy Exams is neither self help nor philosophy. It is some perfect in between. It seeks not to provide answers, but rather to encourage reflection into feelings. When personally biased, the author seems mildly indignant at a flourishing culture of turning emotion into something that is by turns unnecessary, untrue, distracting, unpleasant and weak, and one by one examines and attacks these assumptions, culminating in a tantalizingly suggestive piece on the relationship between women and wounds. 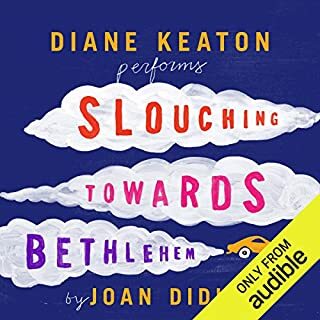 It's a fantastic read, the best expression of privileged guilt i have ever read, and a defence of the pressure to be jaded and unmoved that is not afraid to be slightly ashamed of itself. It seems to me that there are two ways to listen and be enriched by this book, these essays. She is an excellent writer who uses Rich turns of phrase and intelligent, poetic voice to communicate the stories themselves is one. The content of the essays; their ability to provoke both thought and emotion is the other.